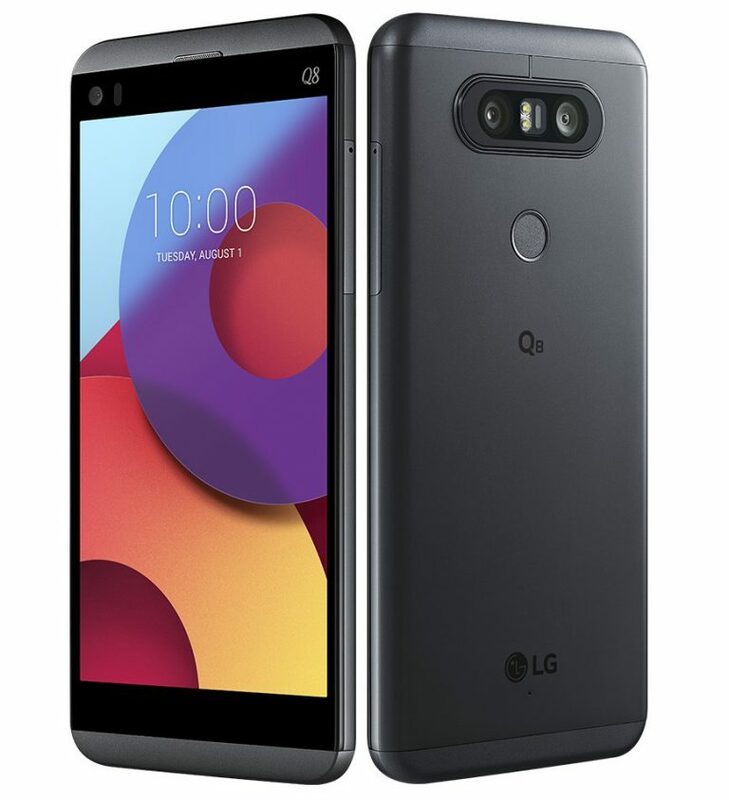 LG has introduced LG Q8 smartphone in Italy. It has a 5.2-inch Quad HD screen along with a 2.1 (160 x 1040 pixels) second screen powered by Quad-core Snapdragon 820 processor with Adreno 530 GPU. LG Q8 has a 4GB LPDDR4 RAM and 32GB (UFS 2.0) internal Storage.It has a 16MP rear camera with 78-degree lens along with a secondary 8MP secondary camera with 135-degree wide-angle lens.The phone has IP67 ratings for water resistance, 32-bit Hi-Fi ESS SABRE ES9218 Quad DAC for a clearer sound by minimizing distortion and ambient noise by up to 50%. It has a slightly smaller 3000mAh battery compared to 3200mAh battery on the V20 and this is non-removable since the phone has a unibody metal design. LG Q8 comes in Titan color, is priced at 599.90 GBP (US$ 778) and will be available starting from Italy on Amazon from July-end.